The survey by Common Cause and Lokniti has also found that over 47% of Muslims fear being falsely accused of terrorist activities. New Delhi: A substantial chunk of India’s marginalised population harbours fears of being falsely implicated in anti-state Maoist activities as well as petty crimes – a feeling only reinforced by the recent arrests in the Bhima Koregaon case. The targeting of social activists whenever their voices get too loud for the state’s comfort, however, is not new. Just last April, the Central government accused two civil rights groups working for tribals in Odisha and Jharkhand of working as a front organisation for the CPI (Maoist). The findings of a recent study, conducted to analyse popular perception about police along state and community lines, brought out how marginalised communities fear police targeting. The survey found such fears to prevail among 27% of Adivasis and 35% of Dalits, according to ThePrint. The survey by NGO Common Cause and Lokniti, a research initiative of the Centre for the Study of Developing Societies, included 5,563 respondents across 22 states and was conducted in June-July 2017. The survey pitched questions about people’s fear of police, attitude towards custodial excesses and awareness of police brutality from several sections of the population – particularly among Dalits, Adivasis and Muslims. While two in every five (38%) claimed that officials falsely implicated members of backward castes such as Dalits in petty crimes including theft, robbery, dacoity, one in four (28%) believed that “such a false implication of Adivasis and Muslims did occur”. A similar perception pattern was observed among other minorities, with the sense of discrimination coming out as strongest among the Muslims. The perception that the police was discriminatory was found to be most pronounced in the states of Bihar, Jharkhand and Haryana. An examination of state-wise opinion, according to the report, suggests that Dalits in Jharkhand, Telangana and Madhya Pradesh, Adivasis in Maharashtra, Gujarat and West Bengal and Muslims in Telangana, Delhi, Tamil Nadu, Maharashtra and Karnataka were most likely to hold the opinion that their respective communities are falsely implicated by the police. “Among the total number of respondents, 26% of Muslims were of the view that police discriminated on the basis of religion, while less than 18% of Hindus and 16% of Sikhs thought the same,” the report found. According to the survey, over 47% of Muslims across the country said they feared being falsely accused of terrorist activities. Trying to explain the perception, the researchers, according to ThePrint report, cited the “large proportion” of Muslims in the country’s jails. Sikhs, mainly in Punjab, reported the highest levels of fear among religious communities – with 37% saying they were highly fearful of the police, which is over double the national average. 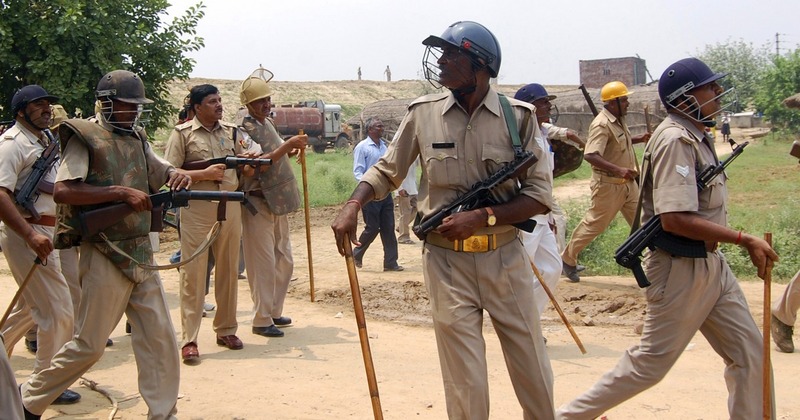 The results of the survey also suggested a perception that caste-based discrimination among police personnel was most prevalent in Bihar, Karnataka and Uttar Pradesh.